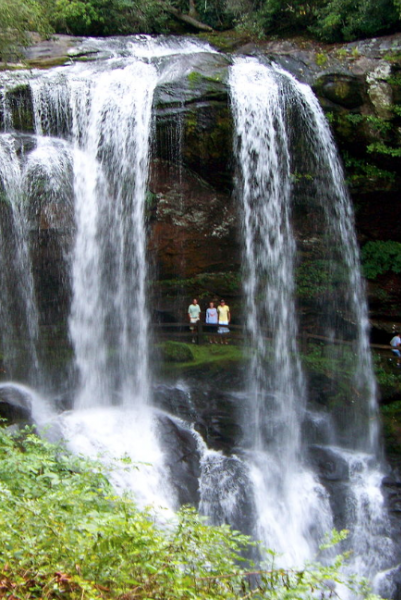 Dry Falls flows on the Cullasaja River through the Nantahala National Forest. It is part of a series of waterfalls on an 8.7-mile (14 km) stretch of the river that eventually ends with Cullasaja Falls. Dry Falls flows over an overhanging bluff that allows visitors to walk up under the falls and remain relatively dry when the waterflow is low, hence its name. Visitors will get wet if the waterflow is high.